Dr. Gwen Korovin has been in private practice as an otolaryngologst in New York since 1989. 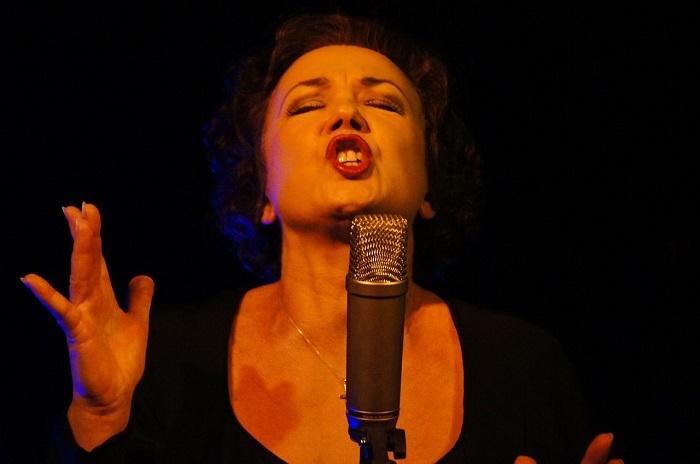 She has become one of the world’s best-known voice specialists, treating professional singers, actors and speakers as well as amateur performers who suffer voice problems. The walls of her New York office are lined with photos signed with thanks from patients including Celine Dion, Ariana Grande, Daniel Radcliffe and Kristin Chenoweth. Dr. Korovin has dealt with virtually every possible type of vocal injury or sickness. She has given medical presentations on subjects including sudden vocal injuries, diagnosis and treatment of the voice professional, vocal fold lesions and issues of both the aging Broadway performer and the child Broadway performer. Dr. Korovin takes a conservative approach to vocal care because she knows from experience that resting and improving vocal technique can resolve most problems for a majority of patients. However, singers and speakers who depend on their voices to earn a living, and amateur or recreational vocalists should follow some key rules if they want to avoid stressing or damaging their voices. Warm up your voice before heavy use — and then warm back down afterwards. There’s no standard maximum time you should sing or speak each day. Everyone has different limits. But if you want to get the most out of your voice without injuring it, learn how to do vocal warm up exercises before you start, and how to warm down when your performance is over. Avoid mentholated cough drops. They irritate the throat. Stick with plain lozenges whose active ingredient is glycerine, like Grether’s blackcurrent pastilles or Pine Brothers honey drops. Avoid alcohol or caffeine the night before and day of a performance. Alcohol and caffeine both tend to dry out the throat, and they can cause particular problems if you are prone to acid reflux. Watch out for medications that can dry out your voice. Antihistamines and decongestants can cause trouble. Accutane, for example, and other less obvious medications can contribute to dryness. Even some anti-depressants will tend to dry out the throat. It’s best to consult a voice expert to find out if any of the medications you are taking poses a problem for your voice. Limit speaking when you’re on an airplane or bus. Voice professionals often don’t realize how much ambient noise there is in the background on a plane, and they wind up talking too loudly to be heard over it. Tour busses are also notoriously loud environments where singers damage their voices by trying to make themselves heard over the din. Use a humidifier at home, to add moisture to the air. It’s important to remember that the humidifier itself must be kept clean. Also, when you travel, bring a personal steamer along. Make lifestyle or job changes if you need to in order to avoid second hand smoke, chemicals or harmful fumes. Drink plenty of water. Usually at best eight 8 oz. glasses per day is recommended. Checking your urine to make sure it is clear is a good way to ensure that you are well hydrated. Try not to scream or yell. Many actors, teachers, sports coaches and others don’t realize how much yelling they do on the job. Yelling creates excess stress on your vocal folds, potentially causing both short term and long term damage. You may not be able to eliminate shouting completely, but your voice will be kinder to you if you can minimize it. There are vocal coaches who can actually teach the proper way to yell. Don’t clear your throat too often. Over time it irritates your vocal cords. Use a microphone whenever possible. Some speakers actually prefer to use their voice acoustically when speaking to smaller groups. But they often don’t realize how much strain this puts on their voice. If you already use a microphone regularly, learn techniques for using it properly. Microphones can be a big help in avoiding vocal stress. Stay in good aerobic condition. Breathing is a key part of good singing or speaking. Being in good aerobic shape will help give you better control of your voice. Finally, make a point of resting your voice between performances. Giving your vocal cords and throat some downtime will help you avoid fatiguing them over time. Learn why your singing voice is often a barometer of your emotional state.